Do you have a sweet tooth and just need chocolate or candy? There are many reasons we crave sugar. Underlying health problems like adrenal fatigue and insulin resistance can contribute to that nagging urge to fill your grocery cart with all things junk. 1. Get your macros on point. An improperly balanced ratio of fats, protein, and carbs can throw off your body and inhibit it from working optimally. When it comes to your macronutrients, the Goldilocks principle is key—not too much and not too little. Your brain is comprised of 60 percent fat, and low-fat diets have been linked to poor brain health. From the time you were born, you relied on fat in the form of breast milk for energy and development. From a biological and evolutionary standpoint, healthy fats are the most sustainable and long-lasting form of energy to keep cravings at bay. Load up on healthy omegas EPA and DHA found in wild-caught fish and pasture-raised eggs. Low levels of protein can cause spikes and dips in blood sugar. 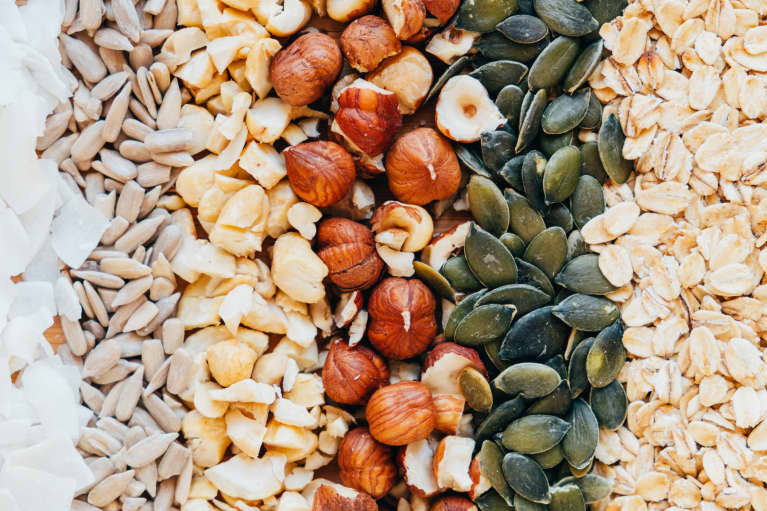 If you know low blood sugar is a problem for you, start with 15 to 25 grams of clean protein like wild-caught fish, grass-fed beef, and nuts and seeds with every meal. 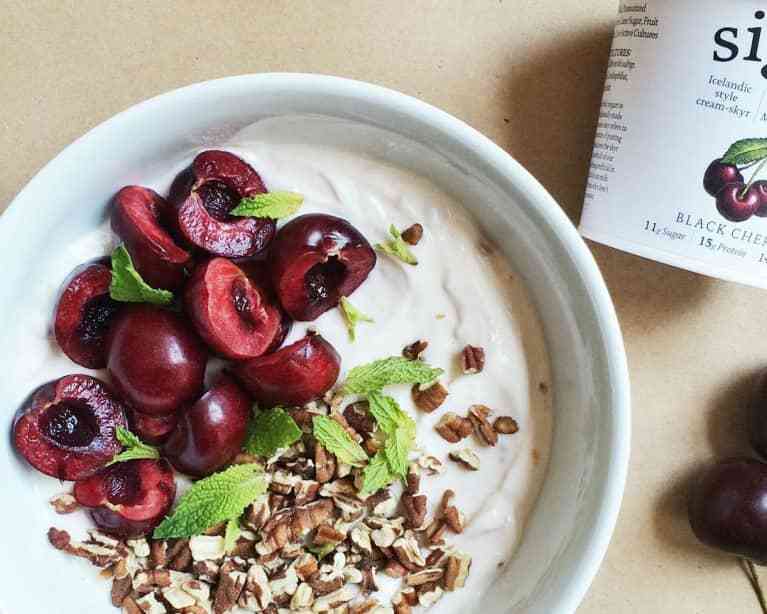 Eating siggi’s 4 percent yogurt is a fantastic way to curb cravings due to its fat and protein content coupled with just the right amount of sweetness! 2. 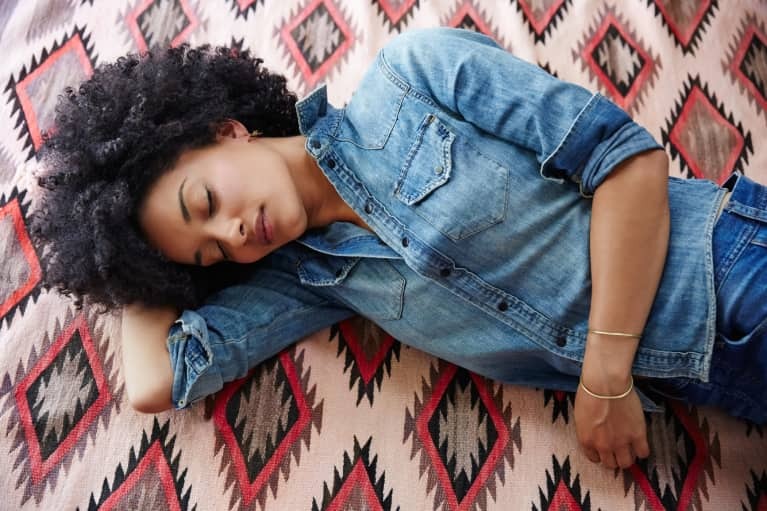 Reduce stress and bring on the sleep. Stress has been implicated in almost all chronic disease. Looking around at our society, you would think that being stressed and running on little sleep was as second nature as breathing. But just because something is common, that doesn’t make it normal. In fact, it can have wide-reaching effects on our sweet tooth. When you are stressed, the hormone cortisol races through your body and releases glucose from your liver, raising blood sugar levels. Therefore, when you are constantly stressed, your blood sugar is perpetually high. With our busy schedules, it’s easy to trade in hours of sleep for additional time to complete your ever-growing to-do list. But sleep is essential for your body to run optimally. Sleep gives your body time to refresh itself and actually makes important hormones. When you skimp on sleep, even just for one night, your cravings increase. Be intentional and shut off all technology—your sweet tooth will thank you. 3. Add herbs & spices. Not only do spices and herbs add taste and interest to your food, but they can also boost your health—including your hormones and blood sugar levels. For example, turmeric drives down inflammation, which can perpetuate insulin resistance. Add turmeric and cinnamon to warm coconut milk for a crave-curbing treat. Adaptogens have been used for thousands of years to bring balance to hormones and manage stress. Incorporate these healing herbal medicines such as reishi and chaga mushrooms to bring a greater sense of calm into your life by balancing cortisol levels. 4. Deal with nutrient deficiencies. Magnesium: This is the fourth most abundant mineral in your body but one of the most common nutrient deficiencies. It is considered nature’s “chill pill” and can help to bring down cortisol and reduce stress levels. Proper magnesium levels are also associated with a decreased risk of metabolic syndrome and improved insulin sensitivity. Great sources of magnesium include dark leafy greens like spinach and Swiss chard. Zinc: When zinc is low, it can contribute to higher stress levels. This nutrient is also needed for neurotransmitter function, so make sure to load up on shellfish such as oysters or nuts and seeds for a plant-based option. Chromium: Low chromium can cause good cholesterol levels to drop, increase risk of insulin resistance, and raise triglyceride levels. Chromium can improve blood sugar receptor function, so make sure to load up on chromium-rich foods such as sea vegetables. Iron: Being deficient in iron will leave you exhausted and reaching for any sort of energy source you can find. Avoid the temptation to pour yourself another cup of coffee by focusing on grass-fed beef since it is one of the most bioavailable sources of iron available. To increase iron absorption, combine iron-rich foods with vitamin C-containing foods like leafy greens. B vitamins: There are so many reasons B vitamins are uber-important for your health. Not only are they essential for your brain to handle stress, but they are the fuel behind methylation, your body’s biochemical superhighway that is responsible for protecting your DNA and your ability to detox. Grass-fed beef and wild-caught fish are fantastic animal sources of B vitamins. They can also be found in leafy greens and avocados for those who prefer plant foods. Sometimes your body just needs a break. Limiting your food intake for a period of time can do wonders for healing your gut and calming inflammation throughout your body. Intermittent fasting can also help people get back in touch with their natural feelings of hunger and shed light on any potential emotional connections with food and cravings. From a biochemical standpoint, this makes sense since the regular practice of intermittent fasting transitions metabolism from a state of glucose-burning to a steady state of fat burning. Multiple studies have shown its proven ability to lower insulin resistance and increase metabolism. The 8-6 window plan: One of the easier ways to start fasting would be to just eat between 8 a.m. and 6 p.m. This gives a long fasting period but within a reasonable time frame. The 12-6 window plan: This is the same as the above plan but extends the fasting period until lunch. Modified 2-day plan: Eat a clean diet for five days and then on any other two days restrict calorie intake to 700. The 5-2 plan: Eat clean for five days and completely fast for two nonconsecutive days a week. Every-other-day plan: Completely fast every other day. It is a more intense form of fasting but can be very effective for certain people. The health of your gut and your blood sugar are inextricably connected. Too much sugar ends up feeding the bad bacteria in your gut and creates an unbalanced microbiome. This can lead to Candida overgrowth, which is also linked to blood sugar problems. A studyfound that transplanting the microbiome of diabetic mice into healthy mice actually made those mice diabetic as well! Ultimately, what’s good for your gut is good for your blood sugar, and vice versa. When your gut is compromised, inflammation can run rampant as well, which can wreak havoc on your hormones and blood sugar. So in order to really curb these cravings for good, we need to support our microbiome. One of the most powerful gut-healing tools is probiotics. 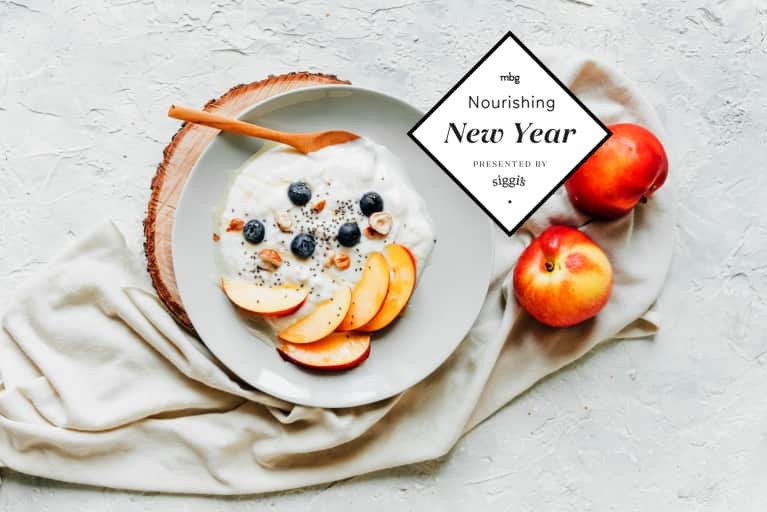 Supplements and probiotic-rich foods like siggi’s yogurt with at least five different strains of beneficial bacteria and fermented foods like kimchi bring good bacteria back into your gut to rebalance your microbiome.